2018 was a massive year for Five Finger Death Punch who became the #1 most-played artist on U.S. Rock Radio in year-end radio reports. The group which Billboard described as “a revitalised band with a renewed focus,” released their seventh studio album, And Justice For None which debuted at #4 overall on the Top 200 Chart and KERRANG! hailed as “…an album that delivers, ticking the boxes of what a modern metal album should be.” And Justice For None has generated 225 million U.S. on-demand streams, over 360,000 U.S. digital song sales and became the #1 streaming Hard Rock/Heavy Metal Album of 2018. And Justice For None marked the group’s fifth consecutive Top 5 album release. The album also had four #1 placements on other charts including: Top Digital Albums, Top Rock Albums, Top Hard Music Albums. 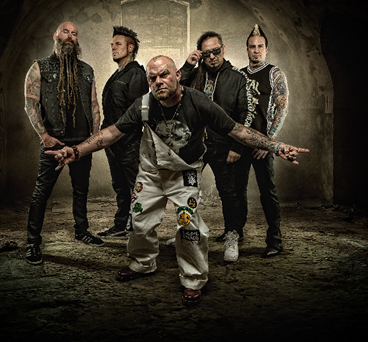 Five Finger Death Punch wrapped the biggest North American co-headlining rock tour of 2018 with Breaking Benjamin. With their Summer and Fall tours combined, the bands donated over $250,000 to charities in 2018. Purchase or stream And Justice For None by clicking on the link. 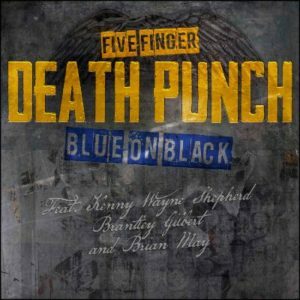 Five Finger Death Punch have amassed over 2 billion streams total to date. Brian May, CBE, PhD, FRAS is a founding member of Queen, a world-renowned guitarist, songwriter, producer and performer, also a Doctor of Astrophysics, 3-D stereoscopic photographic authority and a passionate advocate and campaigner for animal rights. The following four decades have seen Queen amass a staggering list of sales and awards and sees Queen remain the most successful albums act in UK chart history. Brian has penned 22 Queen top 20 hits, among them ‘Who Wants to Live Forever’, ‘No-One But You’ and ‘Save Me’, along with anthems ‘The Show Must Go On’, ‘I Want It All’ and ‘We Will Rock You’. Brian most recently returned to his essential rock roots attending the 2019 Rock Hall of Fame to present Def Leppard with their induction into the Hall of Fame and to perform an all-star jam through Mott The Hoople’s ‘All The Young Dudes’ with Ian Hunter. Next for Brian is a return to live performances with Queen + Adam Lambert. He will perform throughout North America summer of 2019 followed at the start of 2020 with tours throughout Australia and New Zealand, as well as dates across East Asia. As a producer and executive music producer with Roger Taylor of the Queen biography film Bohemian Rhapsody, Brian and Roger are responsible for one of the highest grossing films of all time across the world and winner of Oscar, BAFTA and Golden Globe awards.